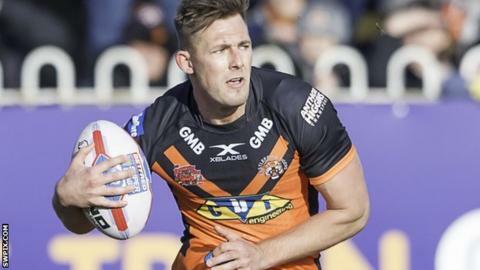 Castleford Tigers winger Greg Eden has signed a new three-year deal. The 27-year-old enjoyed a superb first season with the Tigers in 2017, scoring 41 tries in all competitions after joining from NRL side Brisbane Broncos. "Last year I was really enjoying my rugby and I feel like I slotted straight back into the Castleford way of playing rugby," he said. "I've really enjoyed my time here since I've been back and I'm ecstatic to have extended my contract."